Before they consider giving Medicare to all Americans, an influential crop of Democrats will push to let some buy into the public health insurance for seniors. The push to create what is known as a Medicare buy-in program is slated to come from Democrats in both the House and Senate with seats on key panels early in the year. Supporters are selling the idea as a commonsense, low-cost step toward bolder proposals like Medicare for All in hopes of gaining the support of those who want to give free health insurance to all Americans. 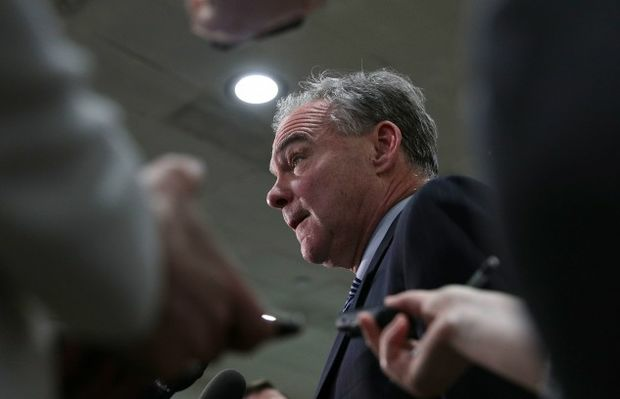 “We’re really going to push it because we’ve heard from our constituents that what they want are better options at a lower cost,” Sen. Tim Kaine (D-Va.), who sponsored a Medicare buy-in bill (S. 1970) earlier this year with Sen. Michael Bennet (D-Colo.), told Bloomberg Government on Tuesday. Kaine said he’ll try to get the Senate Health, Education, Labor, and Pensions Committee to consider his bill, which could be a long shot with Republicans in control of the panel. The Medicare buy-in proposals, which vary from letting in people 50 years of age and older to allowing anyone with limited insurance options to buy into the program, could be a test for whether Democrats can agree on how to bolster the Affordable Care Act’s insurance markets when they take control of the House next year. Supporters of Medicare buy-in programs say it takes advantage of the cost-efficient nature of the public health insurance program to give Americans cheaper coverage. Democrats took control of the House partly by making health care a major part of their campaigns and they’re expected to address bolstering insurance markets early in 2019. There’s a growing contingent of Democrats pushing to enact a Medicare for All proposal who may not be eager to add an intermediary step to achieving their goal. More than two dozen of the Democrats newly elected to the House support Medicare for All, while 13 supported creating a buy-in program, according to data compiled from the Progressive Change Campaign Committee, a political action committee that supports center-left candidates. Sen. Bernie Sanders (I-Vt.), one of the most vocal sponsors of a bill (S. 1804) to effectively eliminate the private health insurance market and replace it with a public program, told Bloomberg Government he won’t support Medicare buy-in. “Our legislation calls for a four-year phase in and the first year it does that,” Sanders said, referring to expanding eligibility for Medicare. Sanders’s bill has come under fire from Republicans as being far too costly, a criticism he disputes. Some Democrats are pushing more modest approaches to lower health costs that won’t upset the current health insurance markets as dramatically as Sanders’s plan would. Rep. John Larson (D-Conn.), a member of the House Ways and Means Committee who has been close with Minority Leader Nancy Pelosi (D-Calif.) told Bloomberg Government he’s hoping to garner supporters for a February re-introduction of a bill (H.R. 3748) to allow anyone older than 50 to buy into Medicare. He said his proposal would help those with some of the highest health costs, people over 50 years old but still too young to qualify for Medicare. Larson also said his legislation would be deficit-neutral, meaning it wouldn’t create new federal spending or require difficult discussions about how to pay for the new spending. The bill would make a number of changes to the Affordable Care Act and permit Medicare to negotiate the price of drugs for its beneficiaries to help make it deficit-neutral. “It’s not a silver bullet,” Larson said, but he called it “a strong, pragmatic” step toward solving a big problem. The Democratic Party has shifted away from these modest approaches and toward single payer proposals like Medicare for All or Medicare buy-in proposals that would let any American buy a Medicare, Adam Green, co-founder of the Progressive Change Campaign Committee, told Bloomberg Government. Just adding a portion of the country to Medicare’s rolls or taking modest steps to repair the ACA won’t satisfy lawmakers who came to Congress promising big changes, Green said. The next Congress should be focused on preparing policy proposals for 2020, when Democrats could win back the White House, he said. “The center of gravity has shifted in the direction of Medicare for All,” Green said. The post Key Democrats Are Selling Medicare Buy-in Over Medicare for All appeared first on Bloomberg Government.